Body and Movement— Wellness begins with movement, time in nature, fresh air and beauty. A practitioner-guided walk along one of Maui’s most beautiful beaches! 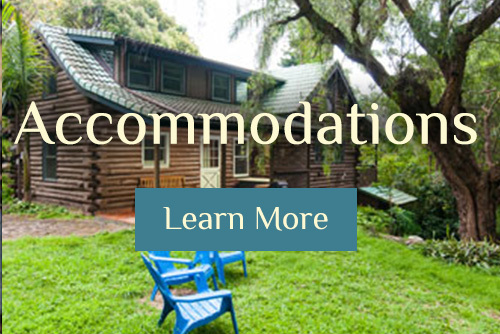 A beautiful way to get oriented to Maui and your retreat, while greeting the day and being caressed by the soft saltwater breezes of Maui’s beautiful North Shore. Time for self-guided walks on your own can also be added to your itinerary. 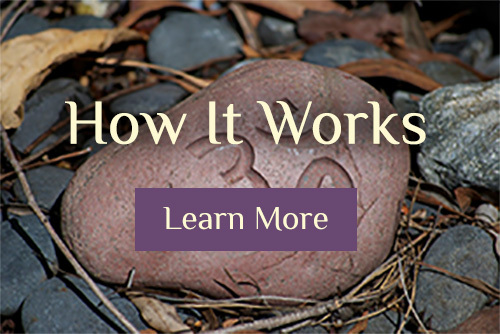 Guided nature experiences and beach walks, combined with spiritual awareness. Nature is an amazing teacher. 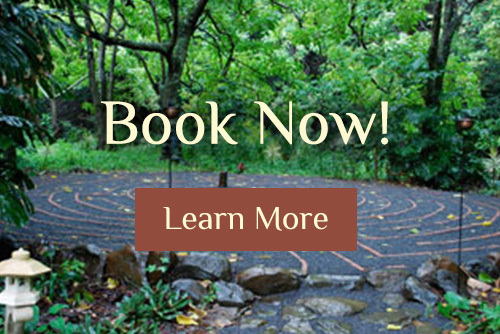 As a practitioner guided hike, available for any fitness level, this session will take you on a journey through the beautiful and varied rain forest of Maui. But perhaps more importantly, you will be guided to heighten your awareness of your own senses, and discover the depth of the present moment—something you can access anytime, anywhere. Tune into your breath and bodily awareness as you are guided through the ancient healing poses of yoga. Whether you’ve practiced for 30 years or never done yoga in your life, and whether you are seeking a challenge or prefer a gentle restorative session, classes are tailored to suit your individual needs. The use of props, adjustments and modifications of poses are incorporated as needed to optimize your experience of yoga, or complete union with your highest Self. We specialize in private yoga sessions where you get personalized assistance with your specific needs, however, if you prefer a group class we can assist you in finding the perfect one to attend. Qi Gong translates to “energy work” or “energy exercise.” It is closely related to the concept and practice of Tai Chi which means a balance of opposites. Whereas Tai Chi often has an external, martial application, qi gong has an internal, medical focus bringing harmony and balance to the body, mind and soul. In Chinese traditions, nature is always observed because our external landscape can teach us a great deal about our internal one. What’s going on “out there” is a macrocosm of what’s going on “in here.” So many forms include animal mimicry, and engaging with the energy of the cosmos and the earth using simple movements, visualizations and contemplations. Our personal trainer will work with you either at our awesome local Hawaii-style gym or in the garden for strengthening and stretching. No matter what your current level of fitness is, he will guide you to improve your strength and your flexibility. Pilates is a system of exercises designed to improve physical strength, flexibility, and posture, and enhance mental awareness. Not to mention, it gives you an awesome physique! Experience what it is like to “walk on water” with our adventure fitness practitioner. Peer into the crystal clear Maui waters and know “you’re not in Kansas anymore!” Not only is this an awesome workout but it is a blast! Go to places the average visitor doesn’t get to see. A little hiking, a little paddling (on a blow up paddle board), a lot of adventure! This yoga session is designed for people struggling with injury and/or chronic pain. We work therapeutically to clear injury and pain from the body by using revolutionary alignment techniques, breath work and by rediscovering the natural way your body wants to move. This work may be done on a yoga mat, massage table or both and may also include supported, restorative postures. An awesome combination of yoga, hiking, stretching and awareness in a beautiful Maui forest. This session gets you out on the land into what many consider to be the Heart Chakra of the World. Haleakala stands 10,000 feet high in the midst of the Pacific Ocean offering unbeatable vistas and a haunting silence that stirs your soul. Pele, Hawaii’s Fire Goddess and the one responsible for the creation of the islands through her volcanic activity, is honored atop Haleakala, the house of the sun and a dormant volcano. Whether you opt to hike or simply meditate in nature, you will leave this session with a deeper sense of connection to all that is. Opportunities range from beginner to advanced fitness. Coconuts are natural weights and we use them in this fitness routine! Get strong and fit while experiencing the joys and beauty of Maui! Our passionate practitioner will lead you through the jungle on a trail run that is fun, beautiful and grounding. Moontime Yoga TM is a practice for women in all stages and phases of reproduction from the Maiden and the Mother to the Wild Woman and the Crone. It is an invitation to practice yoga in a soft feminine way that honors your body as a temple for the cycle of life, death and rebirth. This practice is designed as a journey inside connecting to the wisdom and love of the feminine heart and womb. Instruction for several major acupressure points to help relieve imbalances associated with menstruation is also included along with essential oil therapy.